Serving great American food and several homemade barbeque sauces. 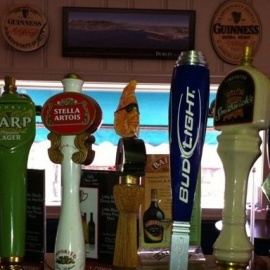 Bar offers pool tables, dart boards, video games & TVs. Sharky's Bar and Grill near Patterson Park offers both a bar setting and a non-smoking dining room, both featuring great seafood and steaks.